dance.net - Evie & Elise Street pairs @ The Worlds Sooooo Cute!!!!!!!!!!!!!!!!! (9633671) - Read article: Ballet, Jazz, Modern, Hip Hop, Tap, Irish, Disco, Twirling, Cheer: Photos, Chat, Games, Jobs, Events! Evie & Elise Street pairs @ The Worlds Sooooo Cute!!!!!!!!!!!!!!!!! How cute do these two look.....Even if I do say so myself!! 6 Replies to Evie & Elise Street pairs @ The Worlds Sooooo Cute!!!!!!!!!!!!!!!!! re: Evie & Elise Street pairs @ The Worlds Sooooo Cute!!!! Love this costume can you tell me where you bought it from please? 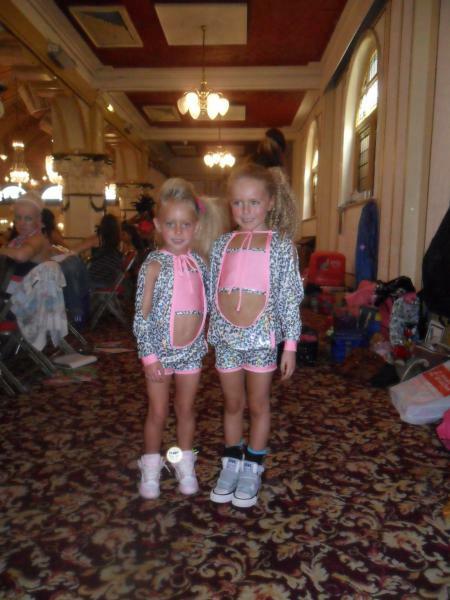 Awh how cut are these 2 little ones,they look amazing in them costumes, GOOD LUCK GIRLS!!! !